Since the 2008 economic crash, we at Collingwood have seen the large majority of our clients raising the bar for the Talent they want to join their companies at every hierarchical level. We have been a key partner in achieving their mission but raising the bar means that you won't have as many candidates to choose from, therefore, creating a huge, ongoing challenge to your Talent Acquisition strategy. What we have found is that companies who have invested time and effort in a 3 to 5 year vision and robust talent strategy (including succession planning and building a Talent pipleline to call off) have accelerated their growth by consistently attracting and retaining "top talent". However, we have also found that companies who only think about recruitment when someone resigns are really struggling and end up settling for second best. HR have a key role in devising this talent strategy and aligning it to the long term strategic ambitions of the business. Far too often HR Directors are too involved at the transactional end of recruitment and do what we they believe is right for the business and not what is aligned to the Board's strategy. From this research, it becomes clear that HR departments and businesses around the UK are feeling pressured when it comes to talent recruitment and staff retention. 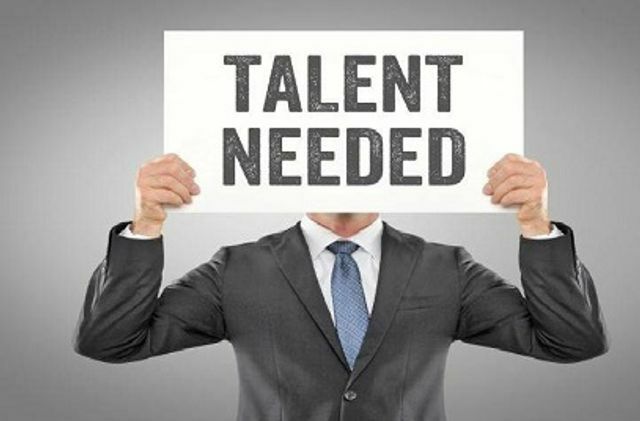 Previous research has found that 36% of employers are unable to filled skilled positions, which means that talented staff are in high demand, even if those people are currently in roles. This is putting a lot of pressure on HR Director’s time and focus in the office, both when looking for replacement staff for vacated positons, and in seeking to look after skilled employees to stop attrition. As a result, HR departments around the country are beginning to respond. The Curve Group research found that 81% of businesses were either keeping HR budgets the same in 2017, or increasing them.